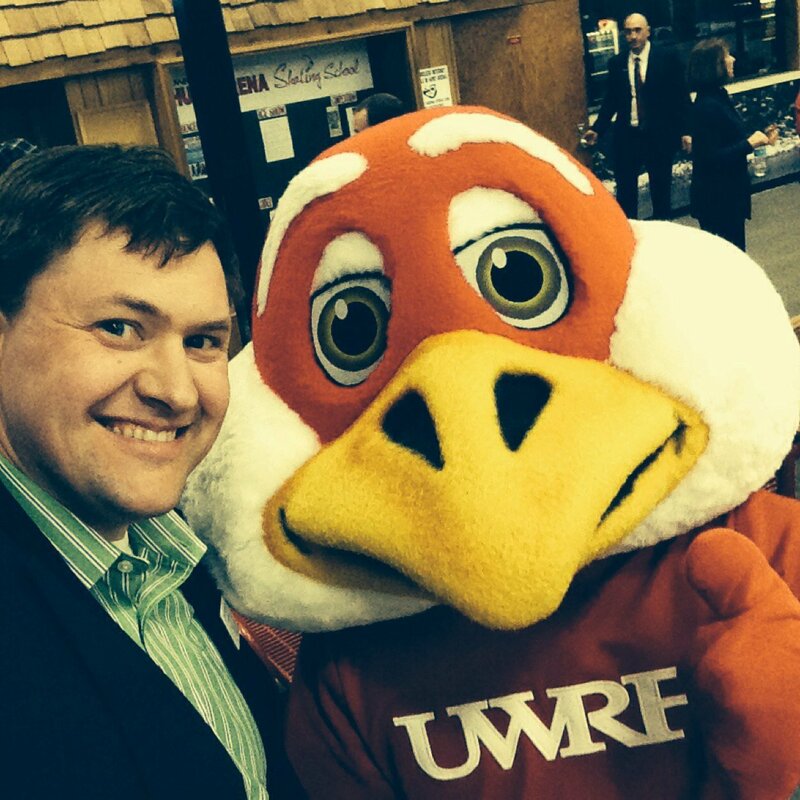 Continue the conversation about the Traeger Award in the ELGL Facebook group. I have had the opportunity of knowing Brian for 3 years, on a multitude of levels. Our original introduction came from a professional development academy, created to enlighten and teach the upcoming generation of Environmental Supervisors. The Environmental Professionals Development Academy was offered through the Association of Environmental Authorities and was hosted at the Western Monmouth Utilities Authority. Brian was appointed as the Director of the Environmental Professional Development Academy, by the Association of Environmental Authorities, based of his knowledge of the industry and teaching experience. The passion and enthusiasm Brian exuded about the academy was evident from my first encounter, and was contagious. While Brian is notably educated and experienced, he has a way of speaking and educating with such charisma and magnetism that any audience is captivated. Brian is never reluctant to share any of his knowledge or anecdotes to anyone willing to listen, and makes any information he is delivering at a receivable level for his audience. I have witnessed myself, Brian addressing 100 students, ages 7-9 about the importance of environmental awareness and the impression left was obvious. The information Brian was relaying was not different from their typical coursework the students had been learning, but the delivery and passion behind the information is what made the content stick with the students. He is also an active member for the Long Branch City Fire Department, where he has held many titles from Line Officer to Captain. Sergeant Tom Sloan, 35, is a stellar traffic cop. But what really sets him apart is his on-screen presence as host of “Tom’s Traffic Tips,” a biweekly video series that garners an average of 5,400 views per episode. Sgt. Sloan joined the traffic unit in early 2017 and the show launched soon after. It was his idea and he made it happen. The 21 episodes to air so far have been viewed more than 100,000 times on Facebook, Twitter, Instagram, and YouTube. The video is also posted to Channel 10, Round Rock public access television. These videos inform the public in a way that is fun and easy to digest. In 2018, Sgt. Sloan won the Innovation in the Classroom award from the National Road Safety Foundation. Off-camera, Sgt. Sloan oversees the “leave the scene” collision investigative unit, commercial motor vehicle enforcement program, and all 60 tow truck service providers operating in Round Rock. He has been a police officer for 10 years – all in Round Rock. He has served as patrol supervisor, field training officer and was a member of the SWAT team. He was a Marine before that, spending time in Iraq, Japan, and California as a reporter for various USMC publications. His work was published by USA Today and the Los Angeles Times. His on-air career began in high school when he took a summer job as a radio DJ and worked his way up to station manager. Word on the Street: Scot is an innovator who looks for opportunities to improve the City in ways that others don’t. He is constantly looking to improve operations and always has an eye for good customer service and employee well-being. Joshua is a force to be reckoned with. He has created an organization that is action-oriented and focused on delivering results. 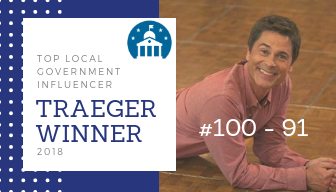 Much like Chris Traeger, his energy is contagious and his passion is unrivaled. Additionally, Joshua has a knack for developing the next generation of leaders. City government needs top-notch talent, and Joshua has a proven track record of developing individuals with little government experience. These individuals have become lifelong leaders in our communities around the globe, working tirelessly to make the world a better place. Joshua’s energy, much like Chris Traeger, is contagious and second to none. He runs at 100 mph every day from 5am to 10pm and is fueled by about 20 cups of coffee. To see the amazing work he has done, just look at the 200 block of High Street in downtown Hamilton in Google Street view and toggle between 2008 and present day. See link. The changes Joshua Smith has made in Hamilton have been dramatic, highly visible, and exponential. The best is yet to come for Hamilton, Ohio! Word on the Street: Lauren’s passion for civic engagement makes her a natural leader within our profession. 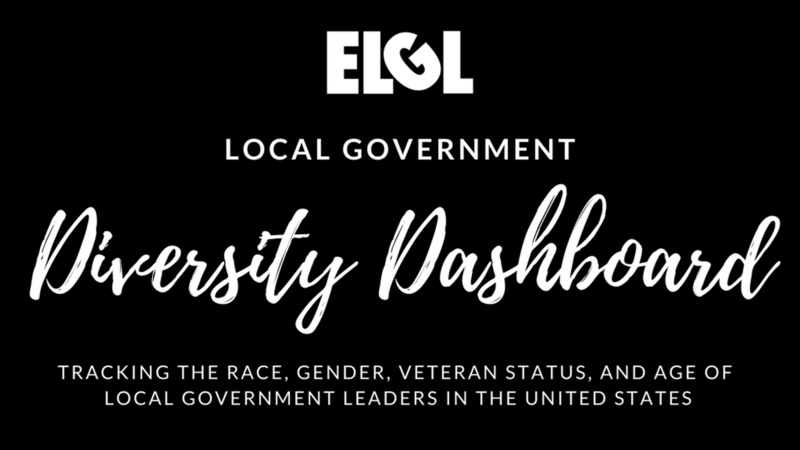 She’s made bold careers moves, played a pivotal role in national research projects (include ELGL’s Diversity Dashboard), and brings a level of energy to any team that she works with. Lauren doing great work, sharing her knowledge, and inspiring others! Word on the Street: Victor has long been a supporter of attracting new talent to careers in local government and leads Novi’s management internship program. This year-long internship program has helped to prepare half a dozen or more professionals for successful careers in local government and has 100% placement rate (most secure a full-time job in their profession before the year is up). Victor has also worked in the past to expand the statewide local government fellowship program and is a trusted source of advice for a number of professionals and students throughout the state. Word on the Street: Katie is really moving Tacoma along and is a great leader and facilitator, and has led our Pacific Northwest Convening of What Works Cities. They are doing great work in Design Thinking and BIT. Katie has done a great job leading the Pacific Northwest What Works Cities group and enhancing performance management at the City of Tacoma. She has a lot experience in management and budget and share her expertise freely with other cities. Word on the Street: Innovation is hard, messy work. Determining the true problems facing cities and finding solutions that make a difference require patience and unwavering perseverance. Liz is doing this to better serve the District of Columbia residents. Word on the Street: Jim is a true dedicated public servant. His service to his Village and his Board is laudable and honorable. His high quality efforts, with a staff of less than 20, to have a robust citizen engagement effort is what sets him apart from many in his class. In areas from social media and website to paper newsletters and press relations, Jim is a cut above. Jen Alvarez is deserving for her outstanding social media work. When it comes to being a specialist, the work you do has to be outstanding to merit awards and Jen knocks it out of the park when it comes to social media presence . From live video, to great graphics and information, she’s great at pushing out information using social media channels to keep residents updated on what they want to know and what they need to know.